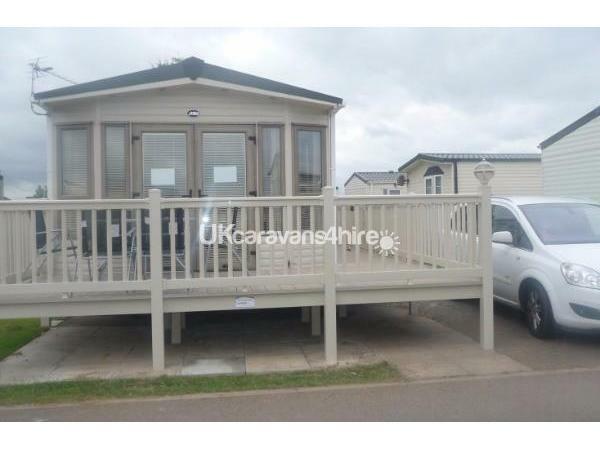 Fantastic 3 bedroom caravan for hire on Coastfield Holiday Village near Ingoldmells. 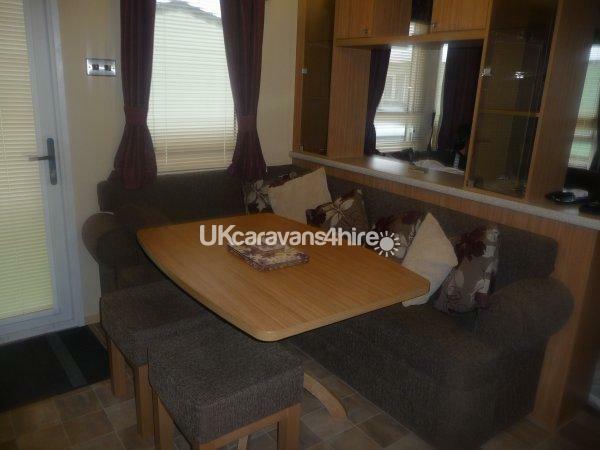 Being a new caravan, the lounge is spacious and very modern with lots of seating which will easily accommodate upto 6 guests and houses 42inch tv and dvd player and selection of dvds. 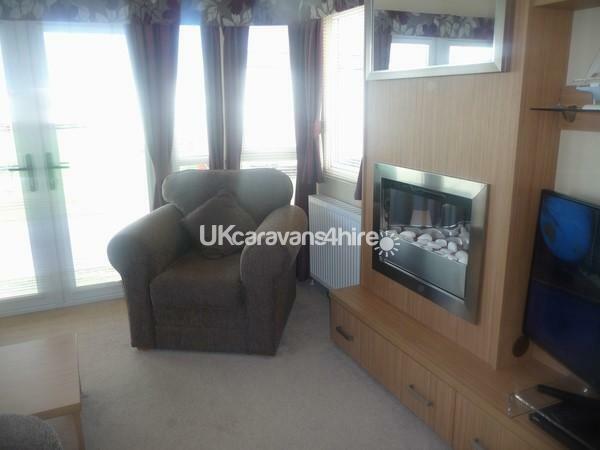 There are also french doors fitted to the lounge area, which open up onto the large veranda. 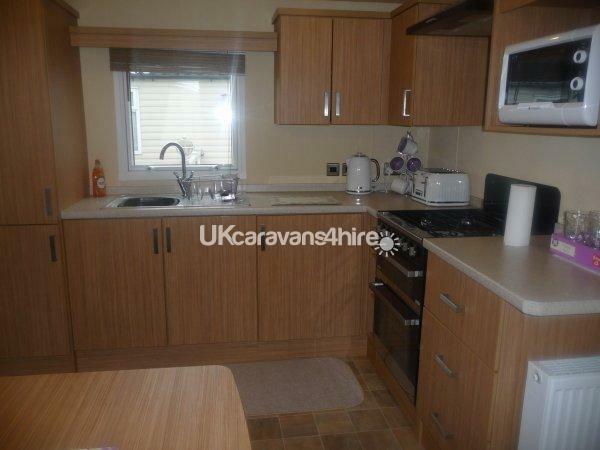 The kitchen has all the usual appliances, microwave, kettle, toaster, full size cooker with grill, integrated fridge for all your fresh produce and integrated freezer for your additional frozen food, There is also a table and seating area in the kitchen so you can sit and enjoy a family meal together. 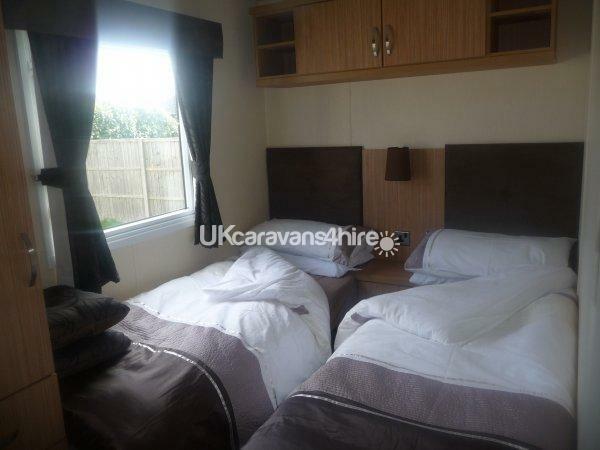 There are 3 very good sized bedrooms, 1 double (with 22ich tv and dvd player) and 2 single rooms with lots of wardrobe space to place all your holiday essentials. 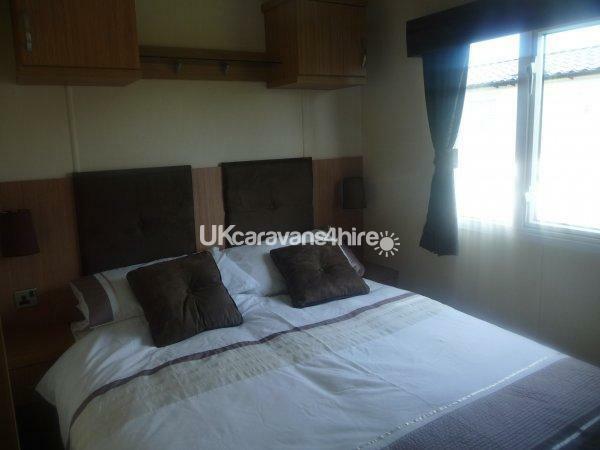 If you need a second double bed, there is a bed settee in the lounge area or you can push together two of the singles to make a double. The bathroom with toilet and shower is again a good size (mixer shower so the water keeps at a constant temp) and there is an additional second toilet so no queuing for the loo! 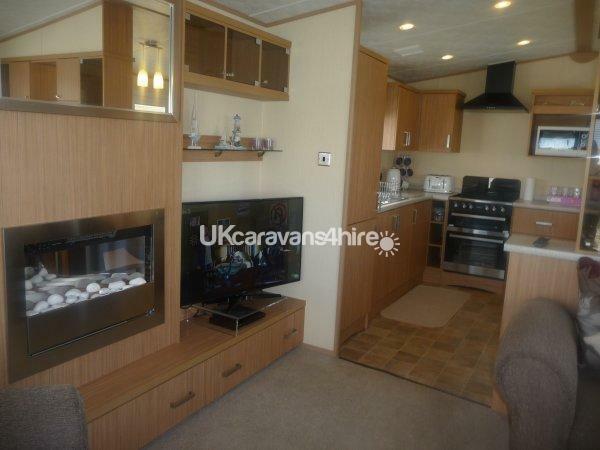 The caravan has full gas central heating and double glazing keeping you warm in the cooler spring months. 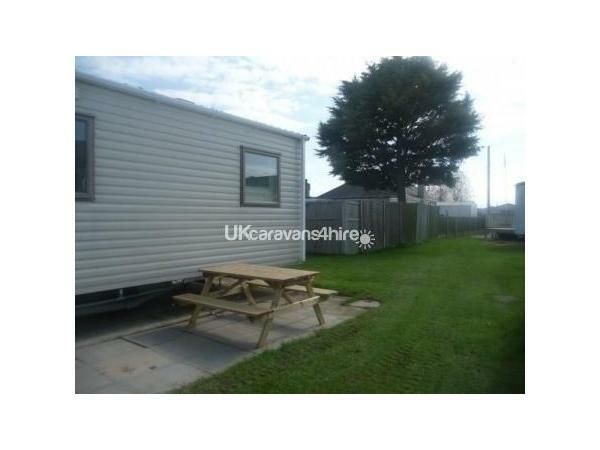 For relaxing outside, there is a large spacious veranda and dining table and chairs. 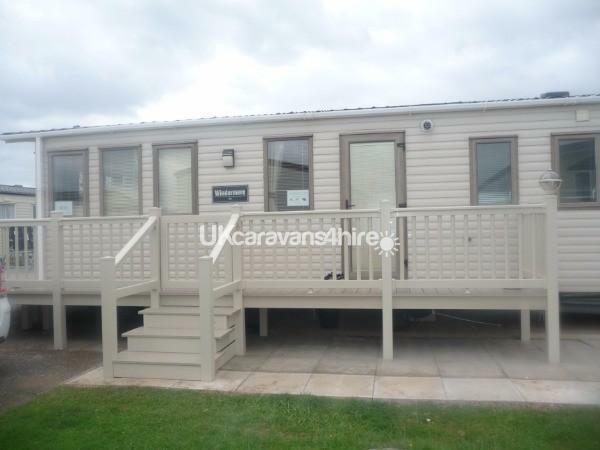 The caravan is on a plot with hard standing for a car - no walking or driving on the grass to reach our caravan. 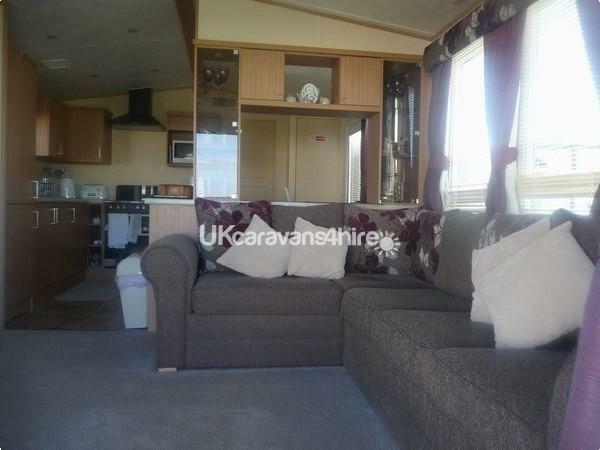 The caravan also has piped gas so you will never run out off gas just in the middle of cooking the family meal or standing in the shower! New for 2019 - We have newly fitted Wi-fi with unlimited usage for a small additional charge. You will be able to steam several devices, enabling you to keep up to date with social media such as facebook, twitter etc and keep the little ones (and teenagers) fully entertained when using their own tablets and devices. Further details on our booking form.